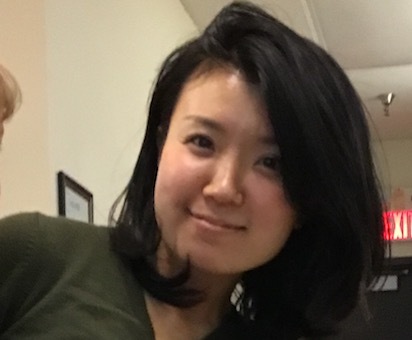 Ayumi Kato is into her second season on our team, and she’s a supportive smile among the staff and a warm heart for all the kids. She completed an associate degree in Early Childcare in 2007, in the Tokyo region of Japan! and has been teaching in preschools and daycares ever since. Here at Buddings, Ayumi handles centre safety, toddler tears, and any minor daycare disasters with a smiling face, and experienced know-how. She never frazzles, and she’s full of fun. Our rotating roster of flexible buddies have wide interests, and hugely different experiences, but across the board everyone LOVES Ayumi. PLUS! She knows all the best books (she and Sarah are curating the library at Storybook Buddings! ), and all the songs. Watch for her videos and links to some of our daycare favourites. This Spring, she’s taking the Tuesday afternoon Big Kids Club on a cultural, culinary adventure that includes stories, snacks, and all the senses, as she introduces them (and us!) to the treats of Japan. It runs Tuesday until May 29, from 1 – 4pm. You can also find her online at Ayumi@buddings.ca.